Cail & Fletcher Monotrac probe allows the measure and the automated control of the Brix in batch and continuous vacuum pans in order to improve their technical and economic performances. Automation and accurate measurements (detection of changes of Brix 0.1 to 0.5%) optimize the process control and the number of batch pans, at low cost. Cail & Fletcher Monotrac probe can be fixed within Fives' local distribution network worldwide. Cail & Fletcher Monotrac probe's conception has been proven over the years, and provides excellent repeatability of the measurements. Cail & Fletcher Monotrac probe is easy to clean and to install and calibrate. 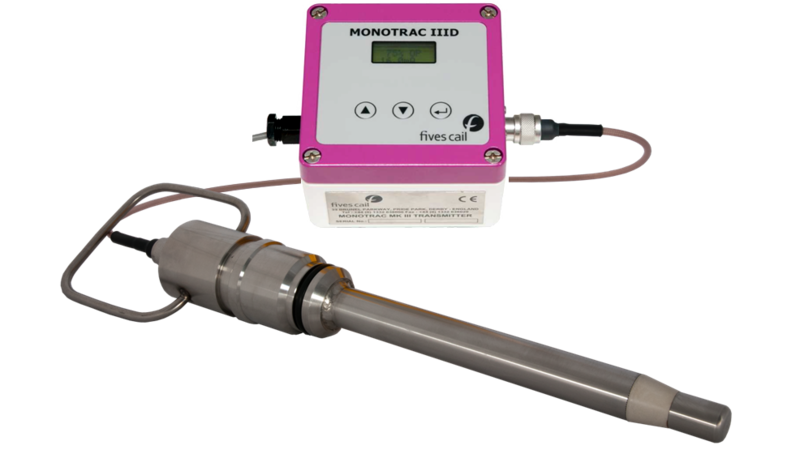 Cail & Fletcher Monotrac probe can be calibrated through control system or locally through a transmitter unit. The measurements can be recorded in a standard Excel spreadsheet.